The SX-175 was introduced in 1973 as a 1974 model year. 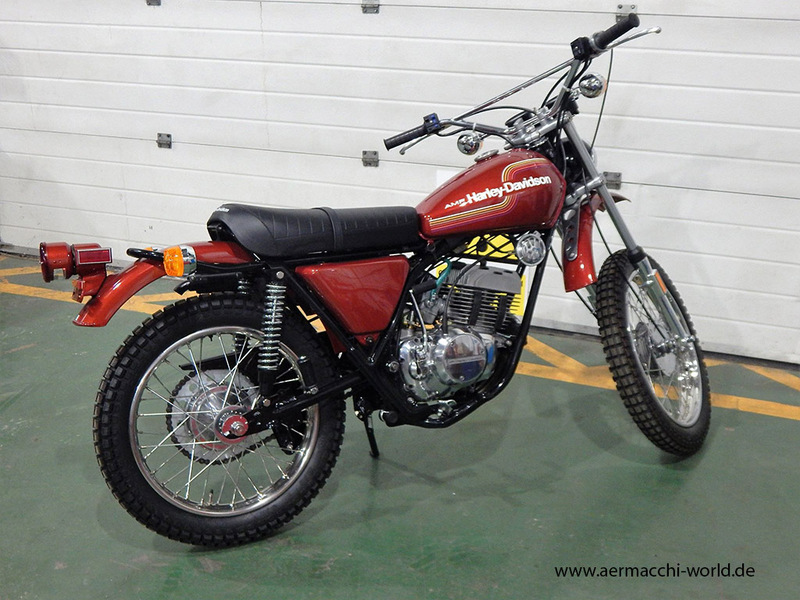 At the same time the factory in Varese stopped producing the single cylinder 4-stroke bikes. 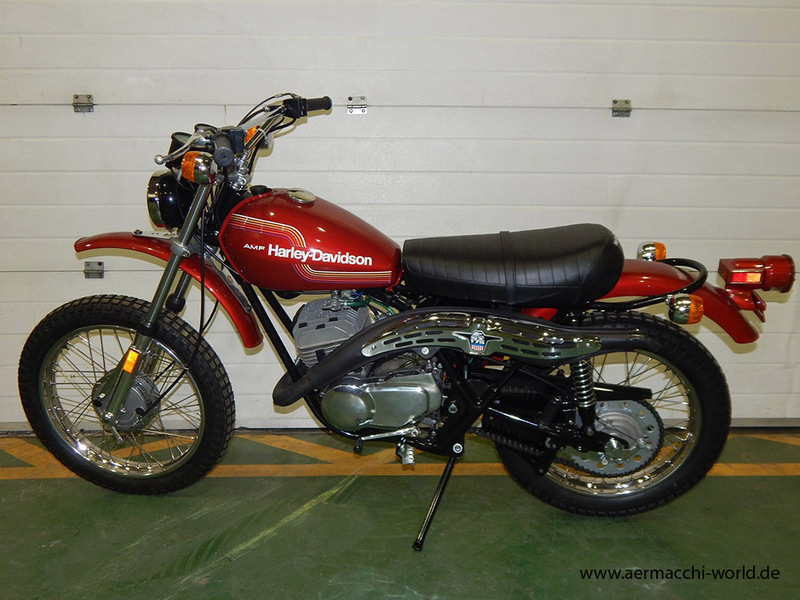 From now on only 2-stroke bikes were produced in the Schiranna factory. The SX is a twin-shock Scrambler with a high exhaust and cross type tires made for street and offroad use. In other words it isn’t very good at either. The upper frame tube is at the same time the oil reservoir for the automatic oil injection system. An oil pump is hidden in the basket of the crankcase beneath a cover on the left side. The motor has an aluminium cylinder with a hard coated barrel which is almost free from wear. 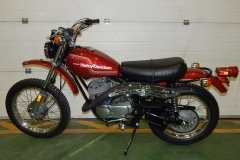 It also has a maintenance free breakerless 12V ignition.In 1974 and 1975 the SX-175 and SX-250 had their own frame which differs from the almost identical street bikes SS-175 and SS-250 models. The most important differences are the single seat, shorter rear end of the frame and no passenger pegs. In 1976 SX and SS models used the same frame, probably to keep production costs down. Because of that in 1976 the SX models became two-seaters also.Whats the difference between a SX-175 and a SX-250? Basically they are identical beside the larger bore of the 250cc model. There are some slight equipment differences like a larger front wheel (21″) on the SX-250. Early SX-175 use a different tail light than the SX-250. Can I swap Engines between SX/SS175 & SX/SS/SST250? Yes. Engines are basically the same, only the Bore is different. Engine mounts are the same on all SX/SS/SST 175 & 250 frames. Carb must be replaced also (27mm / 32 mm). Rear sprockets differ on 175ccm and 250ccm bikes and it should be replaced as well. What transmission oil do I need?